TAMPA (January 10, 2017) – The city of Atlanta has officially been given the College Football Playoff National Championship host city rights. At a press conference following the national championship game in Tampa, Florida, the College Football Playoff put Atlanta “on the clock.” The handoff begins a full year of celebrations and events surrounding the national championship game throughout the year led by the Atlanta Football Host Committee. 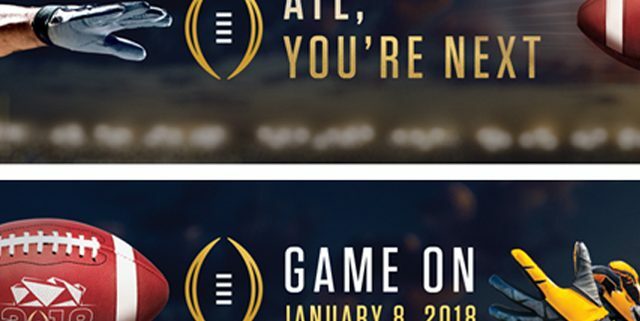 The events will culminate on Monday, January 8, 2018, when the game is held at Mercedes-Benz Stadium. 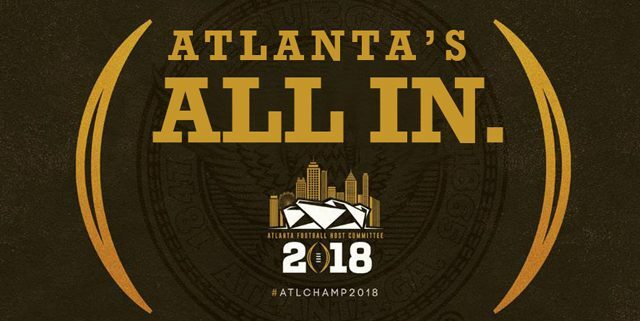 At the press conference, College Football Playoff Executive Director Bill Hancock gave Mayor Kasim Reed and the Atlanta Football Host Committee a College Football Playoff helmet, symbolizing that the national championship game will call Atlanta home for the upcoming year. Now college football’s biggest game heads seven hours north and is expected to have a far-reaching impact on the city of Atlanta. The game will be held at Mercedes-Benz Stadium and will showcase the NFL’s newest stadium in a city known for its passion for college football. In addition to a new stadium, Atlanta also boasts downtown walkability and a compact “Championship Campus” which features 10,000 hotels and restaurants within walking distance. Visitors and those that call Atlanta home can expect concerts, culinary events and educational opportunities leading up to the 2018 game.